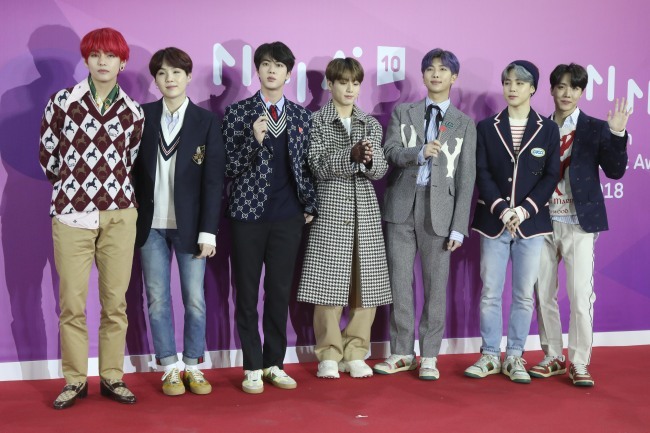 A tweet from K-pop sensation BTS has become the country’s most retweeted of the year. In a tweet Wednesday, the social media platform revealed the “Golden Tweet of 2018”: a post with a short clip of Jungkook singing in a studio to a background track. The monumental tweet in K-pop history from the group’s main account @BTS_twt had been retweeted over 620,000 times with over 1.2 million likes as of Wednesday afternoon. “The golden tweet that South Koreans retweeted the most in 2018 is this. It has been retweeted over 610,000 times,” a tweet from Twitter Korea read, which has been a success in its own right, having quickly been liked over 22,000 times. The group’s fan base widely known as “Army” erupted in glee via Twitter, showering the group with a flood of moving images to celebrate the impressive feat. “Golden Maknae gaining another gold status,” one Twitter user wrote. Jungkook is the youngest member of the group, which is referred to as the “maknae” in Korean. One fan chimed in to clarify some minor confusion over another tweet with a clip showing J-Hope doing the #InMyFeelings challenge, which had more retweets and shares than the Golden Tweet featuring Junkook. “This means it was the most retweeted among South Koreans with South Korea-based accounts. It comes second when all the global fans are counted,” the tweet explained. 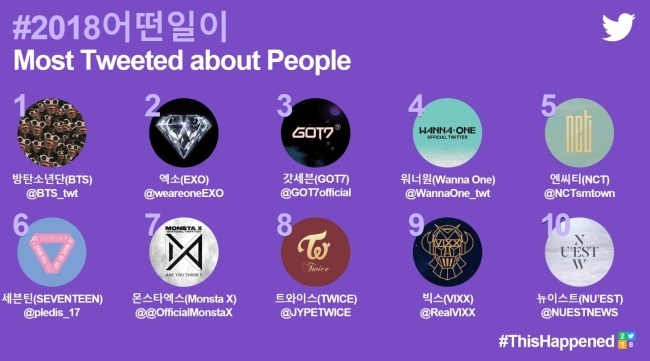 The year 2018 has been great for not just BTS, but K-pop fandoms in general, as Twitter revealed the 10 most tweeted South Korean figures were all music acts, with BTS topping the list. EXO and GOT7 came second and third, respectively, while Wanna One and NCT followed closely. All-male acts dominated the list with the exception of Twice at No. 8, the only girl group to make the top 10.